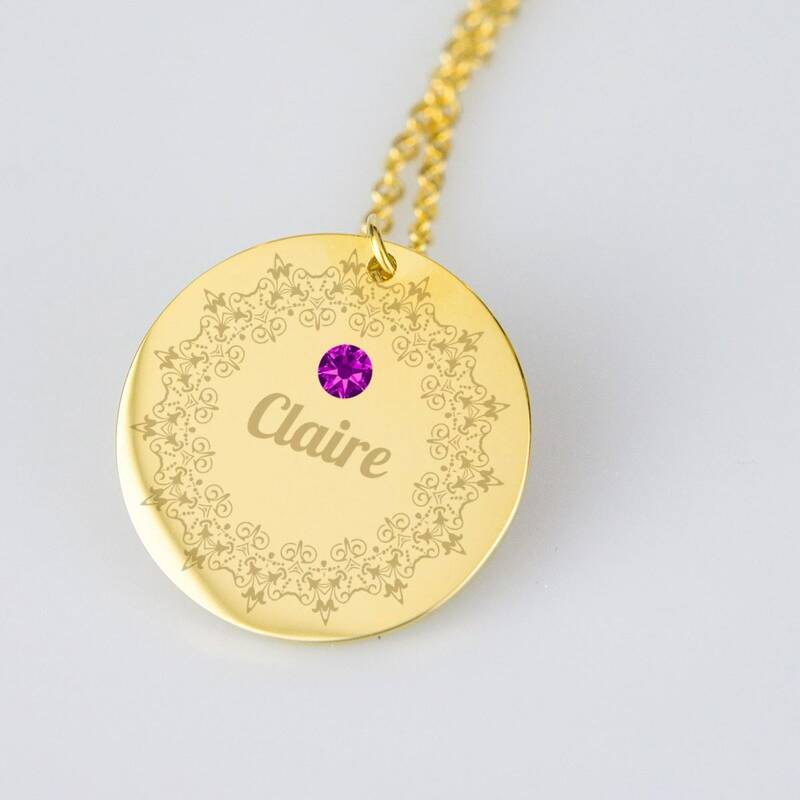 Personalized new mom necklace. 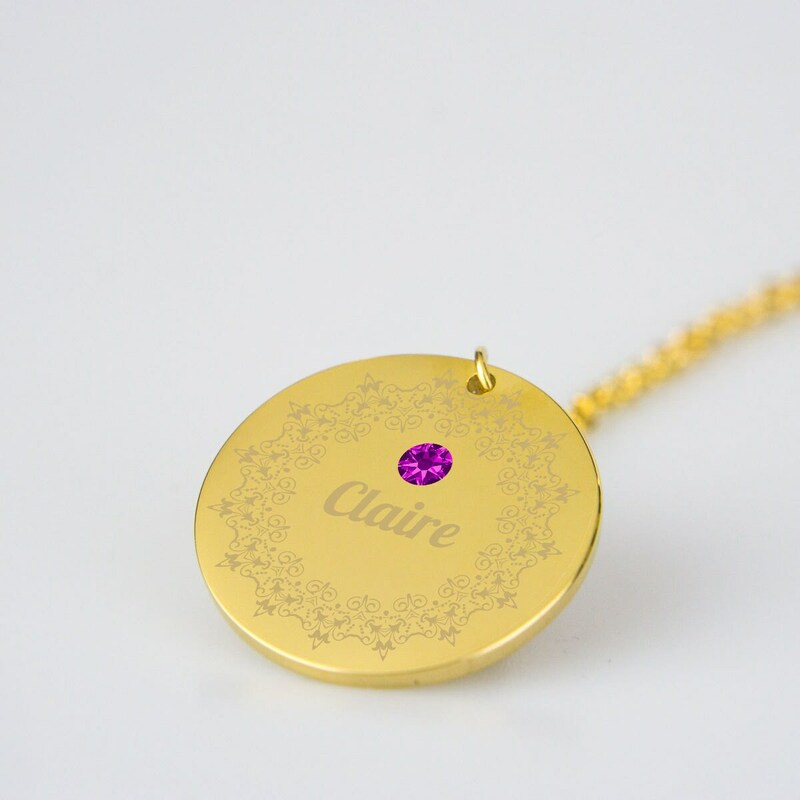 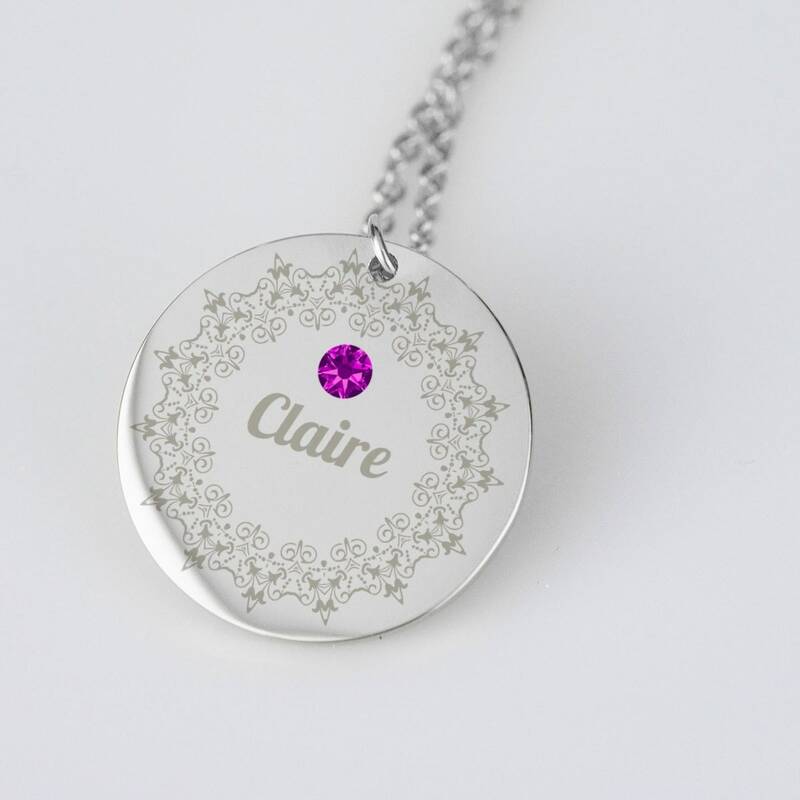 This personalized necklace for new mom features a Mandala design with your child's Swarovski crystal birthstone and name in the center. 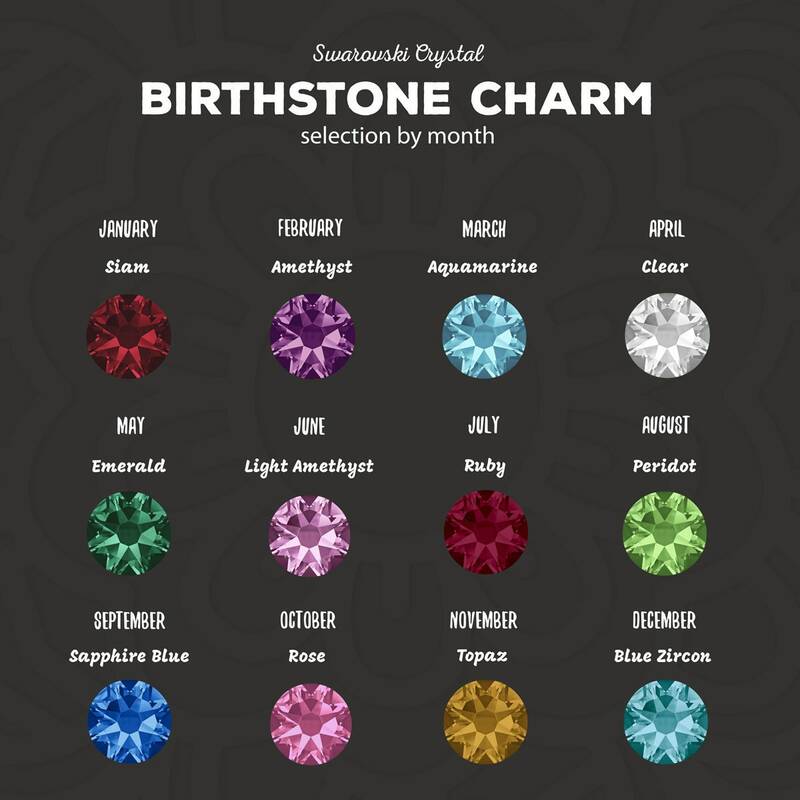 Select Swarovski crystal birthstone charm from the drop down menu. 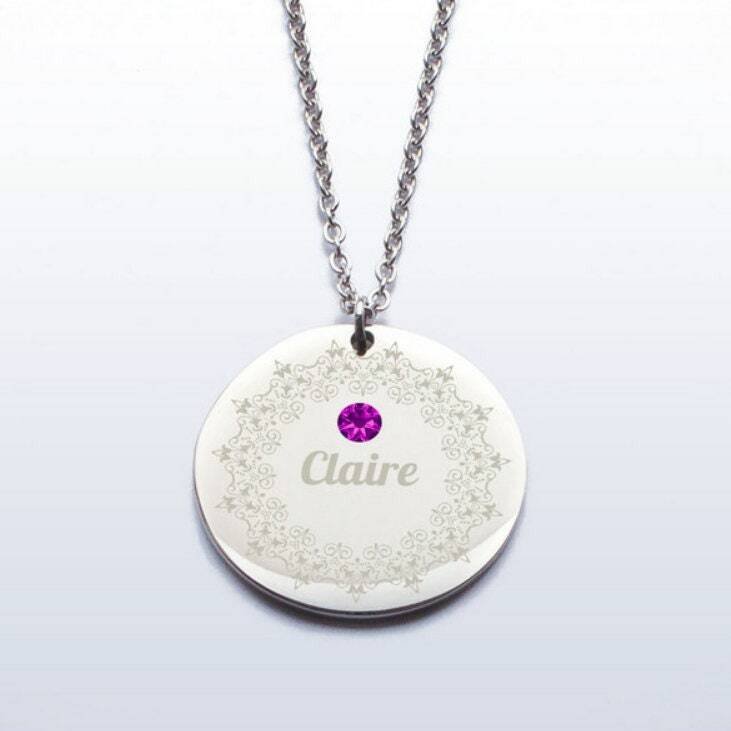 And enter name in the "notes to Frosted Willow" box box during checkout. 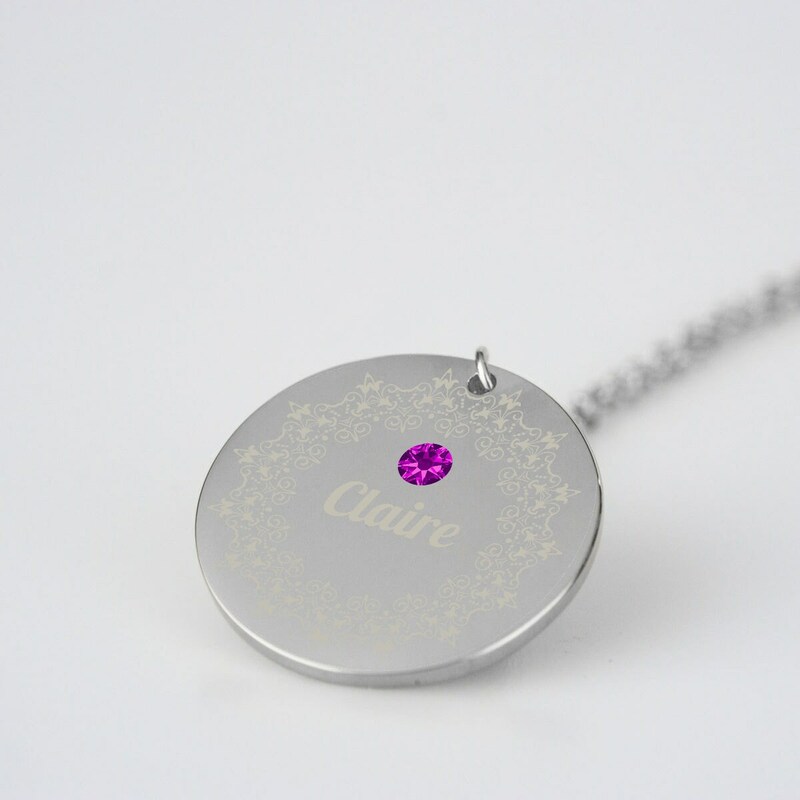 This custom necklace makes a great gift for new moms and gift for new grandma and also a wonderful Mother's Day gift, Christmas gift, or birthday present.